Betting horses online is fun and presents the opportunity to make money. Many bettors are satisfied with making small sums, but others dream of winning a huge jackpot. Hitting a Pick 6 bet at your favorite race track can net you thousands or even millions of dollars. Winning these big jackpots isn’t easy. You might want to consider creating your own horse racing betting syndicate before going after the big money. What is a Betting Syndicate? A betting syndicate in horse racing is essentially a group of individuals who pool their money together to purchase a large number of tickets. A syndicate tries to cover as many possible winning combinations as possible in an effort to win the Pick 6 bet. The Pick 6 bet requires a bettor to correctly select the winner of six consecutive races. This is one of the most difficult bets in all of horse racing, and it can pay out astronomical winnings when hit. Most syndicates are comprised of a group of friends who like to bet the races. The members of a syndicate are usually decent handicappers, and all of them participate in the selection process. One member of the syndicate is chosen as the leader or administrator. This person will be responsible for collecting money from other members and purchasing tickets on race day. The reason a syndicate is often more successful than a single individual when playing the Pick 6 is that there are simply too many winning combinations for an individual to cover. A Pick Six sequence can easily present more than 1,000,000 possible winning combinations. With a minimum bet of $2, the average individual is lucky to cover 100 of these. A syndicate might be able to cover 10,000 combinations or more. If the syndicate is lucky enough to win the elusive bet, all members of the syndicate share in the winnings. The winning share they receive is equal to the share of the syndicate they own. In most cases, the members of the betting group have all invested the same amount. This means they will all receive an equal winning share. However, some syndicates allow members to contribute on a sliding scale. The member who invests ten percent of the total ticket cost would receive ten percent of the winnings. The size of a syndicate can vary. It could have as many as 100 members or more. Some groups might only have five members. No matter the size, the members of a syndicate approach their horse race betting as an investment. They will typically reinvest smaller winnings into future jackpots. For example, some tracks offer a consolation payout when an individual or group correctly selects five of the six winners. A syndicate will use this consolation prize to reinvest and buy more tickets for the next Pick Six. Before learning how to set up your own betting syndicate, here is a little recap on how the Pick Six works. 10 X 10 X 10 X 10 X 10 X 10 = 1,000,000 possible winning combinations. In the lottery, there is only one race or event but the number of entries or numbers goes up. The same principle applies. Only one winning combination can be made out of a million or more possibilities. This is why winning the lottery is statistically more difficult than getting struck by lightning. Betting syndicates in horse racing actually can trace their origin to syndicates in the lottery. For many years, groups of people have joined together to purchase multiple tickets for the PowerBall and other lottery jackpots. Many of these groups have been successful in taking down the biggest prizes. 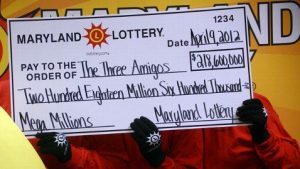 Perhaps the most famous lottery syndicate in history is the Three Amigos. As you might guess, the syndicate only included three members. Each of the members worked together in the public education system. The three individuals, who chose to remain anonymous, were regular players of the Mega Millions lottery. As individuals, they did not have much success. In March of 2012, the Mega Millions lottery had climbed to a record high of $656 million. Instead of purchasing the single tickets to which they were all accustomed, the Three Amigos decided to each invest $20 and buy 60 $1 tickets as a group. Their decision paid off. When the drawing was made, the Three Amigos held one of three winning tickets. Their payout was a record $218,600,000. Not bad for an investment of $60. The same thing has been done in horse racing. Individuals have joined together and won millions at race tracks like Gulfstream Park. All that was required was a willingness to work together toward a common goal. The big difference between the Pick 6 and the lottery is that the lottery is a matter of pure chance. In horse racing, the skill of handicapping comes into play and gives you an even better chance to win. Ask yourself this question: Would you rather have a poor chance of winning $1 million or a reasonable chance of winning $100,000? Hopefully you are not greedy and picked the second one as an answer. Some people have a habit of cutting their nose off to spite their face. They go it alone, without help, and hope for the best. Sometimes it is better to share and increase your chance of winning. The main reason you should become part of a horse race betting syndicate is that doing so will increase your odds of winning the Pick Six. As a single bettor, you will be competing against syndicates each time you play the bet. The odds are stacked against you. Yes, you may get struck by lighting. The chance of this happening is rare. You might get lucky and win the Pick Six on your own, but the odds of this are also slim. If you only buy a $2 ticket for every Pick 6 you play, you might as well take that $2 and buy two lottery tickets. Your chances will be almost as good. It is possible to join a horse racing syndicate that is already in operation. A simple Internet search for horse racing betting syndicates will reveal groups that you can join. These syndicates are located all over the world. Some of them bet only on European or Australian racing. Others only wager on United States tracks. The cost of joining can vary from syndicate to syndicate. You might also ask around your local race track and find syndicates that are in operation there. Some of these groups can be very hard to join. Most of them are made up of close friends who have been doing this type of betting for a long time. They might be hesitant to accept new bettors into their circle. Joining a horse racing syndicate online can present some dangers. For one, you really have no way of assessing the reputation of people you don’t know. It is possible for some of these groups to steal your money. They may ask you to invest a certain amount for tickets and then never purchase the tickets at all. Rather than join an existing syndicate, why not start your own? The kind of operation recommended by EZ Horse Betting revolves around using an online racebook to make bets. This gives you much more flexibility and allows you to wager on the Pick Six at more race tracks. So, where do you begin? As the manager of the syndicate, the first thing you need to do is create an online racebook account. Since you will be the one actually making the bets on behalf of your syndicate, you’ll need one. We recommend several online racebooks that you can choose from. All of them are trustworthy. One thing we do recommend. Keep your personal wagering accounts and the online accounts you use for horse betting separate. If a problem ever arises with your management of the syndicate, you will not want to have the two of them combined. 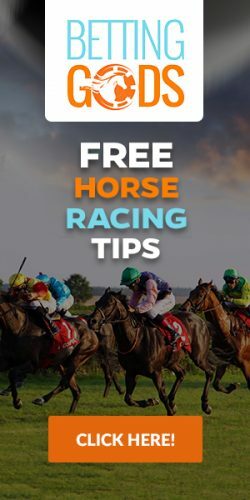 Use one racebook account solely for horse race betting. Use the other for personal wagering. The next step is to decide on those you wish to involve in the group. A good place to start is your friends who also like to bet horses. You have probably met people at the race track or online who share your passion for handicapping. Talk to them about what you have in mind and invite them to participate. Once all of the members have been assembled, you will need to have a meeting. At this meeting you will discuss many important matters. Among these matters is who will bes responsible for collecting money and making payouts (most likely you), how the handicapping of races will be conducted, which tracks you will play, and so on. It is very important that you have a clear understanding of how the group will conduct business. Once everything is arranged, the final step is to write up all that has been discussed and give each member a copy. You might even want to get the members to sign in agreement. The most important thing is that all members of the syndicate have a clear understanding so that there are no problems down the road. You will also need to keep good records in case you do win a big Pick 6 jackpot. This is necessary in case you ever have to pay taxes on your winnings. Now that you have created your group, it is time to make your first bets! This is very exciting. All you need to do is decide how much each player will invest.